In the year since Camille, Alexis, Jasmine, and Angel joined Rachel Jackson's church youth group, the four best friends have bonded over boys, pitched in on community projects, and shared their deepest secrets. There's nothing they don't know about each other -- or is there? When a special guest arrives at Rachel's group and announces auditions for a television talk show, the girls will come to know a side of each other they never knew existed. And they may not like what they see. Will the four friends become enemies? The race to find the perfect host for KRCP's Teen Talks is heating up -- the competition is fierce, and so are the lies the girlfriends tell about each other in order to win the coveted spot. But more painful than any lies they can concoct is the cold, hard truth: none of them will reach their ultimate dreams if cutting each other down is how they choose to get ahead. Is winning a place in the spotlight worth losing their friendship? Includes a reader's group guide! Be sure to read the previous novels in ReShonda Tate Billingsley's fresh and fun series that looks at the Ten Commandments in a whole new light: Nothing But Drama and Blessings in Disguise -- now available! 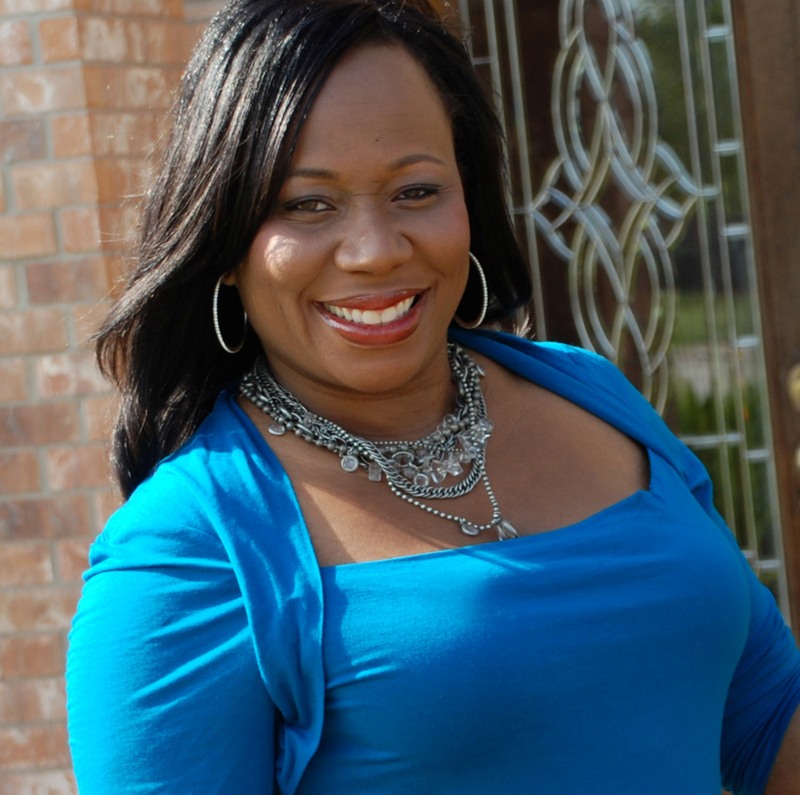 ReShonda Tate Billingsley is a general assignment reporter for KRIV-TV, the Fox affiliate in Houston, Texas. She is the author of the nonfiction book Help! I've Turned Into My Mother! and three previous adult novels: My Brother's Keeper, for which she received the prestigious Gold Pen Award for Best New Author from the Black Writer's Alliance and the Nova Lee Nation Award from the Greater Dallas Writing Association; the national bestseller Let the Church Say Amen, chosen for Library Journal's Best of 2004 list for Christian fiction; and I Know I've Been Changed, a Main Selection of the Black Expressions Book Club. Her previous Christian teen novels are Nothing But Drama and Blessings in Disguise, both available from Pocket Books. She is also a contributor to the story anthology Have a Little Faith. Visit her website at www.reshondatatebillingsley.com. Get a FREE e-book by joining our mailing list today! Get our latest book recommendations, author news, and competitions right to your inbox. This reading group guide for Say Amen, Again includes an introduction, discussion questions, ideas for enhancing your book club, and a Q&A with author ReShonda Tate Billingsley. The suggested questions are intended to help your reading group find new and interesting angles and topics for your discussion. We hope that these ideas will enrich your conversation and increase your enjoyment of the book. Rachel Adams is trying to find a way to forgive her husband, Pastor Lester Adams, for having an affair. Her task is made all the more difficult by the reappearance of his former mistress, Mary Richardson, in their family’s church. Now pregnant, Mary claims that Lester is the child’s father and is intent on seducing him away from Rachel. Meanwhile, a tragedy rocks the foundation of the Adams family and everyone involved is confronted with an ultimate decision of forgiveness. 1. What does Rachel’s dream in the novel’s opening chapter reveal about her fears? How is she able to overcome these fears by the end of the book? 2. Despite Lester’s continual refusal of her affections, Mary protests that the love she feels for him is real. Do you think this is true? 3. Rachel fears that her anger is interfering with her growth as a Christian. Do you agree with her decision to leave the church until Mary is removed? Likewise, do you think Mary should be removed from the church—or do you agree with Deacon Jacobs’s assessment that “if they kicked one transgressor out, they had to kick them all out” (p. 14)? 4. Mary’s visit from her mother, Margaret, is unwelcome and reinforces why Mary removed Margaret from her life in the first place. How does Mary feel when she sees her mother? How do you think Mary’s relationship with her mother has influenced her as a person? 5. Mary’s dealing ex-boyfriend, Craig, is another unwelcome visitor who brings “nothing but trouble” when he comes around. Is there anything Mary could have done to rid Craig from her life and leave her past behind? Or do you think her past was always destined to follow her? 6. Fed up with Aunt Minnie’s constant judgment of his family, Simon reveals a few of her deepest secrets to prove that she’s not as perfect as she pretends to be. As Simon says, do you think she “had that coming”? 7. Although Bobby never makes an appearance in this novel, Rachel can’t help but think about him from time to time. She wonders if chasing after him in the past influenced Lester’s affair with Mary. Do you feel that Rachel is right to take on part of the blame for Lester’s affair? 8. After Rachel’s interaction with Pastor Terrance Ellis at Lily Grove Church, she felt humiliated for having misunderstood the pastor’s intentions. Did you also think Pastor Ellis was coming on to Rachel? How did you react to her reasoning that having an affair of her own would help her recover from Lester’s affair? Have you ever felt a similar urge to seek some kind of revenge? 9. Did Roderick’s suicide take you by surprise? Teenage bullying due to sexual orientation is a prominent topic in the media today. How does Roderick’s story echo other tragedies you’ve read or heard about? 10. Rachel’s father offers words of advice after Lester is arrested: “Baby girl, God is in the blessing business. He’s not in the punishing business. . . . Just know that God doesn’t give us more than we can bear” (p. 197). Do you agree? Has there ever been a time in your life that you felt you were being tested beyond what you could bear? 11. What did you think of Rachel’s decision to keep Mary’s son, despite him being a constant reminder of Lester’s indiscretion? Would you have made the same decision? Similarly, how would Rachel’s decision have been different if it had turned out that Lester was, in fact, the boy’s father? 12. How did your opinion of Mary change as you read the book? By the end of the novel, did you find yourself sympathizing with her situation? Or did you think she got what she deserved? 13. How does the role of forgiveness impact both the characters and the events in the novel? Is Rachel truly able to forgive Lester for his indiscretion by the end of the book? Do you think Jonathan will ever be able to forgive himself for what happened to Roderick? 1. Let the Church Say Amen, the first in ReShonda Tate Billingsley’s Say Amen series, is currently being produced as a feature film. If you were in charge of casting, who would you cast as Rachel? Lester? Mary? 3. Say Amen, Again is the third book in ReShonda Tate Billingsley’s series about Rachel and her family. If your book group hasn’t yet read the first two books in the series, consider Let the Church Say Amen or Everybody Say Amen for your next discussion. 4. 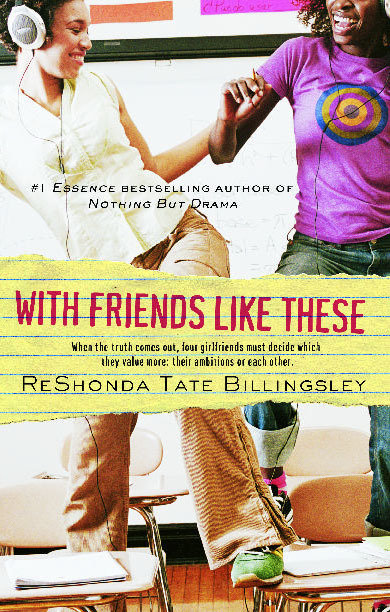 You can learn more about ReShonda Tate Billingsley and her books on her official website (www.reshondatatebillingsley.com). You can also follow her on Twitter (twitter.com/ReShondaT). Say Amen, Again is the third book in the Say Amen series. Which character do you think has grown the most since Let the Church Say Amen, the first in the series? It would definitely have to be Rachel. I mean, did you ever imagine the Rachel we first met would be capable of adopting the child of her husband’s mistress? Do you have any plans to write another book about Rachel and her family? What’s next for the Jacksons and the Adamses? Rachel is one of those characters that won’t let me tuck her away. I never planned to write the first sequel, and she demanded that her story continue. Next up, she’ll meet up with Jasmine Larson Bush, the main character from author Victoria Christopher Murray’s Jasmine series. The two women are so much alike and so different and they’ll clash as both try to get their husbands elected to a prestigious position in a national organization. That book is called Saints and Sinners and comes out in 2012. Before you began writing Say Amen, Again, did you know how it would end? Was Rachel always going to accept Mary’s baby into her life? Oh, I never know how my books are going to end. That’s why it’s so hard for me to write an outline. My characters take over and they tell me the direction in which they want to go. So, I had no idea if the baby was going to even be Lester’s, let alone Rachel’s plan for the child. Roderick’s suicide is undoubtedly one of the novel’s saddest moments. Why did you feel this was important to include? I just wanted to show the tragic side of what can happen when our young people feel like they can’t talk to anyone. I don’t even know whether Roderick was gay, but the simple fact that he was conflicted was cause for concern. Yet, for various reasons, he had nowhere to turn. When it comes to writing, what would you say is your greatest challenge? Whew, I guess it would be I can’t write fast enough, and I write pretty fast! There are so many unchartered territories I’d like to venture into, but my plate is pretty full. Some people would think that time might be a challenge, but I believe that you find time for your passion and writing is my passion, so time has never been an issue for me. In its starred review of Let the Church Say Amen, Library Journal raves about your ability to infuse your text with “just the right dose of humor to balance the novel’s serious events.” Do you find it difficult to strike this balance in your writing? I don’t. At all. People are always telling me how funny I am and I just don’t see it. I guess it’s because I’m not trying to be. It’s just a part of me; so naturally it’s reflected in my writing. When you write, do you craft your novels with a mostly Christian audience in mind? Or do you aim to reach a wider readership? Well, I’m a Christian who writes fiction, but that’s about the scope of my target. I mean, of course I want Christians to enjoy my book, but I also want nonbelievers, people of other religions, anyone and everyone to be able to pick up my book and enjoy it. And more than anything, get a message out of the book. In fact, my greatest joy in writing comes from those who found themselves growing closer to God, stronger in their faith, because of something I wrote. But at the end of the day, my message is for the masses. I believe that’s what God has called me to do. What most inspires you to write? A pure, simple passion for telling stories. If one of your readers wanted to write a novel of his or her own, what would be the first piece of advice you would offer? Don’t just talk about writing, write. And every minute you spend talking about what you don’t have time to do could be spent doing it. So many people don’t get their book finished because they let that get in the way. Something will always get in the way. The road to success is paved with tempting parking spaces. Don’t take a detour in trying to reach your dream. And finally, set small, attainable goals. I started with three pages a day, five days a week. No matter what, I committed to that. Well, before I knew it, three turned to thirty and I was able to finish my book. What would you say is the most important thing for your readers to take away from Say Amen, Again? The power of forgiveness and moving past your anger. I also hope that the book helps people reflect on how judging someone is something that should be left up to God. ReShonda Tate Billingsley’s #1 national bestselling novels include Let the Church Say Amen, I Know I’ve Been Changed, and Say Amen, Again, winner of the NAACP Image Award for Outstanding Literary Work. Her collaboration with Victoria Christopher Murray has produced four hit novels, Sinners & Saints, Friends & Foes, A Blessing and a Curse, and Fortune & Fame. BET released a movie in 2013 based on ReShonda’s book Let the Church Say Amen in which she had a minor role . She also had a role in the made-for-TV movie The Secret She Kept based on her book of the same title. Visit ReShondaTateBillingsley.com, meet the author on Facebook at ReShondaTateBillingsley, or follow her on Twitter @Reshondat.